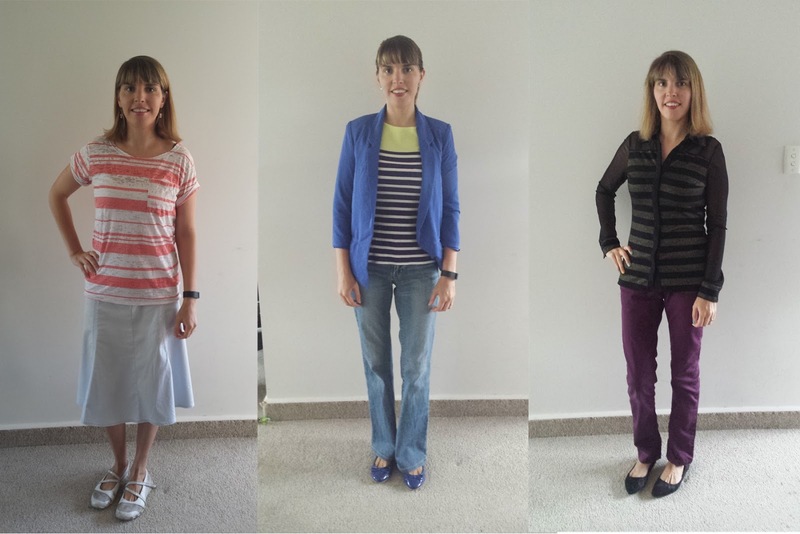 Recently, Nikki from Styling You suggested 35 tips to help shake up your style. Here are six of the tips that resonated with me, and how I am implementing them. Treat yourself to a new lip colour. I tend to shy away from bright lip colours, going with muted browns and some purples. However, when I saw this lipstick I had to have it. Apple Berry is the perfect colour for autumn with warm purple tones and it adds a great pop of colour to your face on gloomy days. Be consistent with your home skin care routine. After Christmas, I purchased a Cleansing Brush and this has totally changed the way I use my skincare. I enjoy washing my face now, as silly as that may sound! It is like having a mini facial every morning, and because I can use the brush in the shower it is so easy to cleanse my face properly. Always wear sunscreen. The pay off will come over time. I have always put sunscreen on my face since I am outside so often. However, I must admit I neglect my neck, shoulders and limbs a lot. Even after my melanoma scare, I have sometimes been in a rush to leave the house in the morning and have shrugged it off, but since January I have been slathering on the sunscreen every day. Take daily photos of your outfits and save to a folder on your phone. I fell off the #everydaystyle bandwagon while I was ill and recovering from my surgery and subsequent hospital stays, but I am now back sharing my daily outfits on Instagram. I sometimes feel a bit weird sharing my outfits, as I am by no means a model and I worry what people will think, but I must admit it has been a great way to meet other fashion-minded women and also create a visual diary of outfits I love. Commit to spending more on the types of shoes you wear more often. This resonated with me as I am on my feet all day, walking to and from everywhere, and yet I continue to spend $20 or less on shoes that fall apart after one season. I have always felt guilty about spending money on shoes, but now my poor feet have decided that enough is enough. I have been enjoying my Mox shoes, and these Grosby comfort boots feel like heaven to walk on! My feet are certainly a lot happier since I have started investing in quality shoes. I have well and truly embraced the stripe in my wardrobe, and have worn horizontal stripes on a few occasions since reading this suggestion. I am now on the hunt for some striped long sleeved tops for autumn and winter. To see the full 35 tips, click here.